Whether laughing to tears reading Otherwise Known as Sheila the Great or clamoring for more unmistakable “me too!” moments in Are You There God? 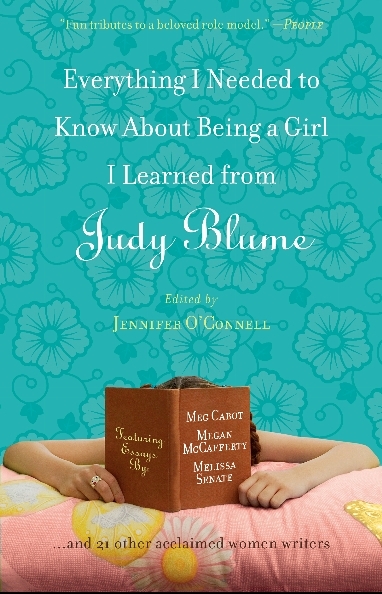 It’s Me, Margaret, girls all over the world have been touched by Judy Blume’s poignant coming-of-age stories. Now, in this anthology of essays, twenty-four notable female authors write straight from the heart about the unforgettable novels that left an indelible mark on their childhoods and still influence them today. After growing up from Tales of a Fourth Grade Nothing into Smart Women, these writers pay tribute, through their reflections and most cherished memories, to one of the most beloved authors of all time. I found out my best friend dumped me when she got married without telling me. As breakups go, I would say this counted as pretty unambiguous. Clear and to the point, really. With boys, there always seemed to be that murky gray area where maybe he broke up with you and was seeing that other girl, but then again maybe he was actually in love with you and just had difficulty expressing the depth of his emotion, hence the hussy. Or maybe that's just my pathology talking. 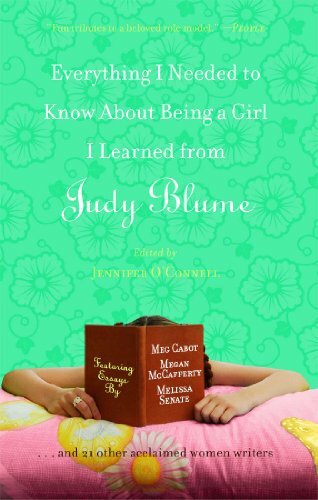 As a Judy Blume fan myself, I really loved reading this book, and it brought to mind my own memories of reading her novels. Whether you just want to know more about some of your favorite authors today, or, like me, you grew up with Blume and her characters, this book is well worth reading and you definitely don’t want to miss it.